Welcome to the new website of the Office of the Arab League in Washington D.C. As you may already know, the Arab League has been headquartered in Cairo, Egypt since 1945. Arab Heads of States, Arab Foreign Ministers and Permanent Representatives of the Arab countries to the League have been regularly assembling at our historic headquarters in Cairo-Egypt under the auspices of this regionally and internationally esteemed organization since its foundation on March 22nd, 1945. 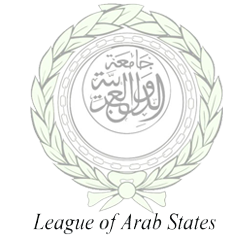 The objective of the League of Arab States was to coordinate policies among member-states and direct them towards common interests.. As such, the Arab League actually preceded the establishment of the United Nations on October 24th, 1945, making the League of Arab States the oldest regional organization in the world. It also enjoys an observer status at the United Nations and other International organizations. Over the years, the League expanded gradually from seven to twenty two Arab-member States with many missions, offices and centers formally recognized in major capitals of the world. 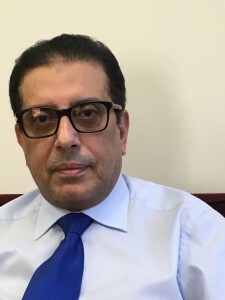 I hope this new and updated website will allow you to navigate smoothly through the abundant information on the history, culture and civilizations of the Arab World. It will also keep you up to date on the current activities of the League and, in particular, the activities of our Office in Washington, D.C. 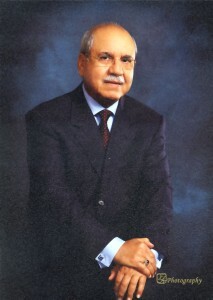 Furthermore, the website will introduce you to and highlight the achievements of prominent Arab-Americans who have played significant roles in American life. Their vast achievements in all fields, whether as congressmen and senators, Four-Star generals, ambassadors, mayors, NASA scientists, artists, authors, entrepreneurs, or academicians have enriched to some extent both the history and the culture of America. Historically, Arab-Americans have played a significant role as a bridge between the Arab world and the United States. Today, this role is even more important. They are an essential part of the American mosaic, enriching the diversity of communities across the USA. The events that occurred in the Arab region during the last three years beginning with and subsequent to what I prefer to call the Arab-Awakening in 2011 have elicited some positive changes in the relations between the United States and the League of Arab States. For the first time in the history of relations between the two parties, a Memorandum of Understanding (MOU) outlining the cooperation of the U.S. with the Arab League was signed on September 25th, 2012, between- then- Secretary of State Hillary Rodham Clinton and the Secretary General of the League of Arab States Dr. Nabil Elaraby. This MOU is intended to promote and enhance cooperation between the U.S. and the Arab League and improve coordination of Arab-U.S. policies in certain areas. It is also intended to create an ongoing dialogue in various fields in order to achieve economic, social, cultural, educational, trans-national and humanitarian cooperation. At that time, Secretary of State Hillary Rodham Clinton described the signing of the MOU as marking the opening of a new chapter in the history of U.S.-Arab League relations. “The United States and the Arab League have worked more closely together than ever before”, she commented at the signing. “We have stood shoulder- to-shoulder in responding to the crisis in Libya and Syria.” She added. We appreciate and value any feedback or suggestions that would help us to improve our website and making it a trustworthy source of information on the Arab World.